2501 Sunset Drive is located in the west side of Bishop, off of Barlow in the Park West Neighborhood. This highly desired neighborhood is just outside of the city limits, and you will often see your neighbors out walking with their families and pets. Property details for 2501 Sunset Drive, Bishop California. 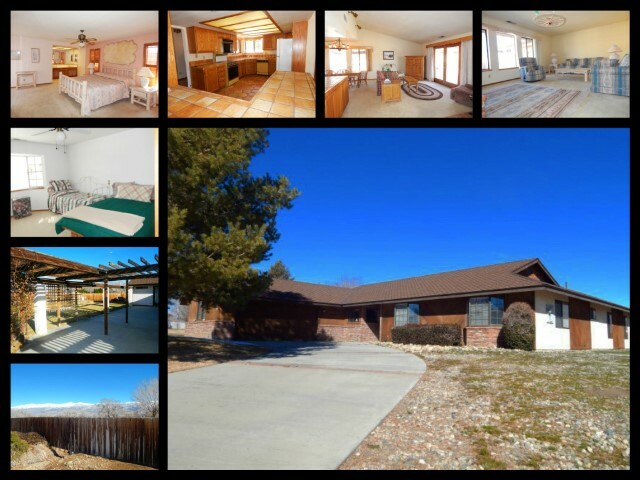 This home is located on a cornet lot and sits on 0.40 acres. This custom home has an open floor plan perfect for a family or hosting gatherings. Walking into the entry way you can go to the formal living room or to the open kitchen, dining and family room. The living room has a fireplace and the family room offers a wood burning stove. The home offers 3 oversized bedroom and 2 full bathrooms. The master bedroom also has his and hers closets and sinks. The low maintenance, fully landscaped yard offers room to expand and add your own personal touch. The backyard offers a patio with partitions to add some privacy and a seasonal creek meanders through the backyard. You’ll appreciate the great views of the Sierra Nevada Mountain Range from the front yard and the White Mountain Range from the back yard.